The Los Angeles Philharmonic Association, in partnership with the Longy School of Music of Bard College and Bard College, announces details for the National Take a Stand Festival (July 15 to 22, 2017) and the fifth annual Take a Stand Symposium (July 20 to 22, 2017) in Los Angeles. The National Take a Stand Festival is an unprecedented three-year initiative launched in 2015 with the mission of creating a unified national platform for U.S. programs inspired by and aligned with El Sistema, the visionary Venezuelan program that nurtured LA Phil Music & Artistic Director Gustavo Dudamel. 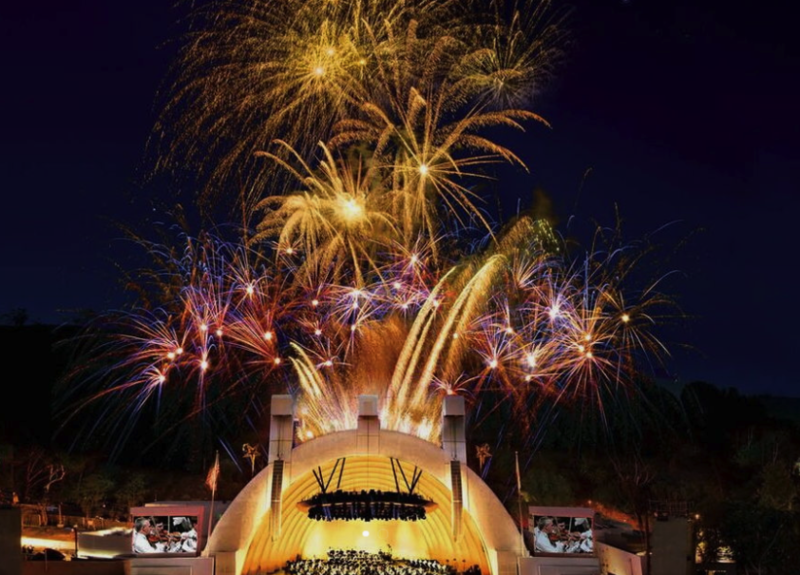 The Festival culminates this year with the first-ever national youth orchestra comprised of students from El Sistema-inspired and aligned programs from across the U.S. performing in a concert conducted by Gustavo Dudamel at Walt Disney Concert Hall on July 22. From July 15 to 22, 100 students ages 12 to 18 from 34 El Sistema-inspired and aligned programs across 30 cities and 15 states, from Alaska to Florida, will come together for an intensive seven-day national youth orchestra festival. The young musicians will have access to extraordinary artistic and educational resources and experience some of the world’s finest learning institutions and concert venues. In addition to learning under the direction of Gustavo Dudamel, students will be led in rehearsals by Thomas Wilkins, principal conductor of the Hollywood Bowl Orchestra. Students will also be instructed and mentored by a teaching staff that includes LA Phil musicians, members of the Simón Bolívar Symphony Orchestra of Venezuela, and a world-class faculty of teaching artists from across the country. The seven-day intensive will begin at Soka University in Orange County, where students will stay in residence halls on the 100-acre campus and have access to the school’s state-of-the-art Performing Arts Center. The program will culminate with three days in downtown Los Angeles, with students participating in rehearsals and educational workshops leading up to a final public performance at Walt Disney Concert Hall conducted by Gustavo Dudamel. With the opportunity to be mentored by exceptional musicians in inspiring settings, students participating in the Festival become ambassadors of their local programs. This project aims to develop a model for excellence and a national community of citizen musicians from historically excluded and under-served populations in the U.S. Travel, lodging, and food are free for all students. The three-year National Take a Stand Festival project began in 2015 with a teacher training and pilot program in Los Angeles. In 2016, the program continued with two regional youth orchestra festivals: one at the Aspen Music Festival and School in Colorado, and one at Bard College in upstate New York. In conjunction with the National Take a Stand Festival, the fifth annual Take a Stand Symposium will be held from July 20 to 22. The Symposium will bring together leaders, teachers, researchers, and key stakeholders from around the world with a vested interest in the El Sistema movement and progressive practices in music education. Participants will address the past, present, and future issues facing the field. The Take a Stand Symposium will coincide with the Association of California Symphony Orchestras’ 2017 Annual Conference, hosted by the LA Phil. The 2017 National Take a Stand Festival and Take a Stand Symposium also coincide with the tenth anniversary of the Los Angeles Philharmonic’s Youth Orchestra LA (YOLA) education program, the fifth anniversary of Longy School of Music of Bard College’s Masters of Arts in Teaching in Music degree program (a partnership with the LA Phil), and the fifth anniversary of Longy’s El Sistema-inspired Sistema Side by Side program. Longy School of Music of Bard College is a conservatory with a mission to prepare musicians to make a difference in the world. World-class faculty and innovative curriculum give students the skills they need to succeed while encouraging them to push their artistic presentation beyond the proscenium model. Longy promotes profound musical understanding and technical mastery, inspires growth of imagination, and fosters an attitude of inquiry about the musician’s role in the world. Longy serves over 300 students from 35 states and 23 countries between its Cambridge campus, and its campus in Los Angeles, which houses the El Sistema-inspired Master of Arts in Teaching (MAT) degree program.In the Boston area, Longy’s Sistema Side by Side initiative brings together young people from El Sistema-inspired programs with musicians from the Longy Conservatory Orchestra, an expert faculty of teaching artists, and special guest artists for intensive rehearsals and celebratory performances throughout the year. Founded in 1860, Bard College is a four-year residential college of the liberal arts and sciences located 90 miles north of New York City on the east bank of the Hudson River. It offers bachelor of arts, bachelor of science, and bachelor of music degrees, with concentrations in more than 40 academic programs; graduate degrees in 12 programs; and numerous dual-degree programs nationally and internationally. Building on a 150-year history as a competitive and innovative undergraduate institution, Bard College’s mission has expanded across the country, around the world, and to meet broader student needs. The undergraduate program at their main campus in the Hudson River Valley of upstate New York retains a reputation for scholarly excellence, and civic engagement. Bard is committed to enriching culture, public life, and democratic discourse by training tomorrow’s thought leaders.